Noma Bar (born in 1973) is an Israel-born graphic designer, illustrator and artist. 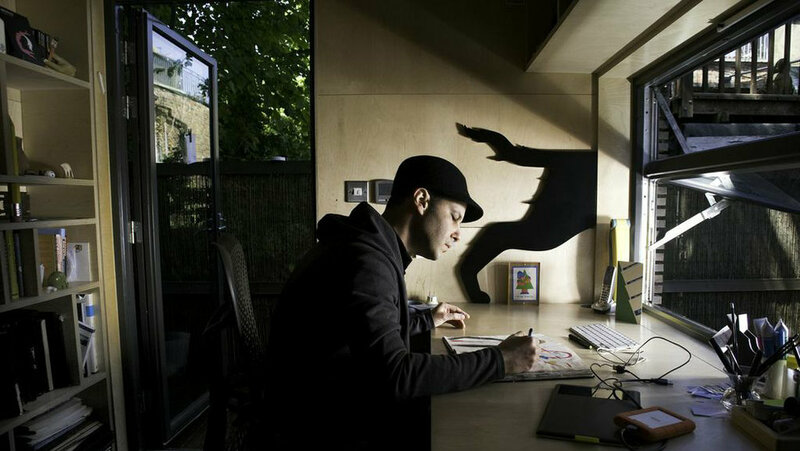 His work has appeared in many media publications including: Time Out London, BBC, Random House, The Observer, The Economist and Wallpaper*. Bar has illustrated over one hundred magazine covers, published over 550 illustrations and released three books of his work: Guess Who - The Many Faces of Noma Bar in 2008, Negative Space in 2009 and Bittersweet 2017, a 680 page 5 volume monograph produced in a Limited Edition of 1000 published by Thames & Hudson. Bar's work has become well known throughout the world, winning many industry awards; more recently a prestigious Gold Clio for his animation & direction work for the NewYork Presbyterian Hospital, a campaign to highlight new frontiers in cancer treatments. He has also won a Yellow Pencil award at the D&AD Professional Awards and his London Design Festival exhibition 'Cut It Out', was selected as one of the highlights of the festival. The project was nominated in the graphics category for the Design Museum, Designs Of the Year.